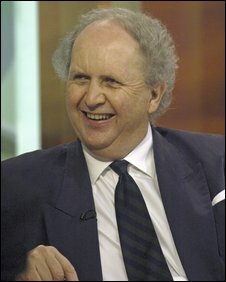 Edinburgh based author Alexander McCall Smith found inspiration for his best-selling series The Number One Ladies Detective Agency in Botswana. Now he's returning the favour, with his support for a new arts centre in the country's capital Gaborone. His new chamber opera The Okavango Macbeth will premiere on Saturday at the Number One Ladies Opera House. It could have come straight from the pages of an Alexander McCall Smith novel. An old garage, on a dusty sidings on the outskirts of Gaborone. 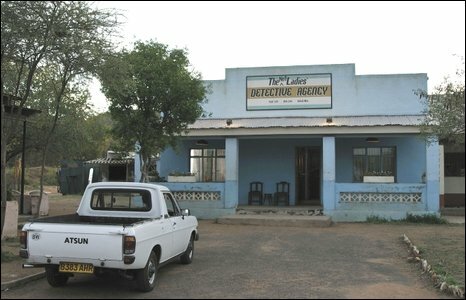 Once a waiting room for the miners being dispatched by train to the diamond mines of South Africa, then a garage, fixing rusty old pickups like the one Mma Ramotswe first drives into the opening chapters of the Number One Ladies Detective Agency. On Saturday night, it'll spring back into life again, in a completely unexpected way. It's not panel beating but singing which fills the air as the Ladies Number One Opera House prepares to stage a premiere of a brand new opera - The Okavango Macbeth. Opera house is too grand a title for this little community arts venue - with a mere 70 seats for the audience - every one snapped up for Saturday's performance. And this is no grand opera either - a chamber opera for just 15 voices, most of whom have only ever sung with their local choirs before this performance. 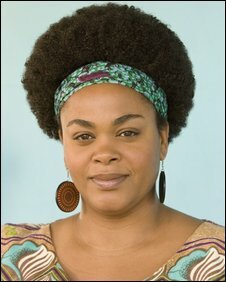 Gape Motswaledi is one of the soloists. He's a science teacher at Gaborone Secondary School but negotiates time off for an increasing number of engagements as the country's best known baritone. He's first to admit that opera and classical music have no roots in Botswana but sees no reason not to learn, or to use the new centre as a show case for the country's singers. For Mr McCall Smith - who was born over the border in what was then Rhodesia - it's the continuation of a long love affair with Botswana. He first came to the country in 1982, to advise the legal department of the University of Botswana on the drawing up of new legislation for this relatively young democracy (Botswana was created out of the Protectorate of Bechuanaland in 1966). Botswana provided inspiration for his early children's books but it was the Number One Ladies' Detective agency series - the first of which was published in 1999 - that thrust Alexander McCall Smith, and his beloved Botswana, into the spotlight. Ten books, a feature film and TV series later and the phenomenon shows no sign of abating. There are regular tours of landmarks from the books and film. Less than a mile from Kgale sidings, we draw up to a wire fence, behind which sits a familiar blue house. A sign above reads "Ladies Detective Agency", the "number one" scrawled above, almost as an afterthought. This is the film set used by director Antony Minghella back in 2007, shortly before his tragic death. Today it's empty, except for a large baboon which lumbers across the road in search of food. The idea for the opera came about as Mr McCall Smith was travelling in the Okavango Delta. He heard that American primatologists Dorothy Cheney and Robert Seyfarth - authors of Baboon Metaphysics were working in the area and set out to find them. From that meeting, came Baboon Macbeth, a collaboration with the Edinburgh based composer Tom Cunningham. In the opera, two primatologists study the behaviour of a group of baboons whose behaviour mirrors that of the characters in Shakespeare's famous tragedy. Of course, the "Scottish play" comes with centuries of superstition. Even uttering the name in a theatre is supposed to bring bad luck and this production is anxious to avoid any more. Already, they've lost a cast member and their director. Boyce Batlang, who was due to play Macbeth, had an unexpected offer of work in China while director Nickolas Ellenbogen had to return to his native South Africa because of bereavement but his son, Luke has stepped into the breach. It's he who's giving the cast their final notes - "you need to stop breathing so heavily after you're dead, Duncan" - and preparing them for the premiere ahead. There have been two preview performances this week - for friends and family. On Saturday, it's invited guests including the sponsors, the composer and the writer. Mr McCall Smith is keen to see two operas a year performed here - they're already looking ahead to next season - and may even write another work himself. But he's also achieved what he set out to do - providing a platform for the young singers in the country which continues to provide his greatest inspiration.